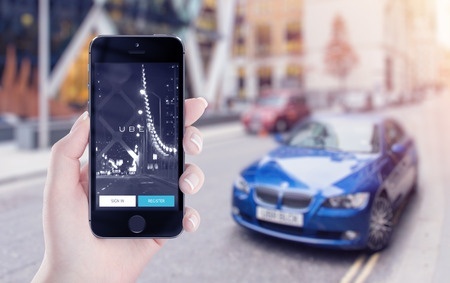 Is The “Uber” Of Merchant Cash Advance Actually Uber? If imitation is the sincerest form of flattery, Uber is paying the alternative small-business finance industry a high compliment. The San Francisco based ride-sharing company is offering its drivers some programs that closely resemble merchant cash advances. New drivers receive part of the advance before they pick up their first fare and the rest soon after that initial ride. Clearbanc, which bills itself as a financial services provider for “the self-employed, freelancers, independent contractors and entrepreneurs,” is putting up the money. As with a merchant cash advance, drivers can choose to pay back the Advance Pay funds by directing a portion of their weekly earnings to Clearbanc, according to a blog by Rachel Holt, an Uber regional manager. In the test the companies are limiting the automatic deductions to no more than 50% of the driver’s weekly paycheck, she said. Participating drivers can still work whatever hours they choose. If $1,000 isn’t enough to put an aspiring Uber driver on the road, the company has another plan. Through the XChange Leasing program Uber automatically deducts car lease payments from drivers’ weekly income, a company spokesperson said. A number of financial institutions work with the ride-sharing company in the program, according to the Uber website. Applicants have to agree to what the company calls “a routine screening.” If they’re approved they receive a list of participating local car dealers. The leases are up to three years for new cars valued at as much as $20,000 and used cars worth up to $18,500. Cars can’t be more than seven years old or have more than 75,000 miles. They have to have four doors and five seat belts. Drivers put up a $250 security deposit when they receive the leased car. Typically, they might have 156 payments of $115 each for a 2013 Toyota Corolla or 156 payments of $143 each for a 2016 Corolla. California requires rideshare insurance, and Uber provides it through Farmers Insurance or Mercury Insurance. Unlike many standard automobile leases, XChange Leasing does not have mileage caps, and drivers can exit the program by giving two weeks notice and paying a $250 “disposition fee,” essentially forfeiting their security deposit, the Uber spokesperson said. For drivers who prefer to own their vehicles, Uber has negotiated fleet discounts with a long list of car manufacturers, the company said. The deals can reportedly bring drivers thousands of dollars in savings over the sticker price of a car. Meanwhile, Uber is testing another foray into financial services. Drivers can use “Instant Pay,” an Uber debit card from Green Dot’s GoBank division, to collect the cash immediately after finishing a ride, according to Holt. The cards don’t require a minimum bank balance and don’t carry any fees, she said. The company seemed upbeat about its new offerings. “We look forward to seeing how these pilots progress and to making innovative payment solutions more widely available to drivers soon,” Holt said in her blog of Advance Pay and Instant Pay. But some Uber drivers don’t share that optimistic view. In fact, Advance Pay and XChange Leasing have both come under fire for what critics view as disadvantages for drivers and for the economy as a whole. Some have gone so far as to label the lease terms practices as predatory. Uber offers Advance Pay only to new drivers, and they could receive just about as much as a signup bonus, according to a blog on UberPeople.net, a website for drivers. The author of the blog speculated that the company is using Advance Pay to eliminate the signup bonus and also to do away with its bonus for referring new drivers. Drivers have to pay off the advance in 15 weeks, according to the UberPeople blogger. At the rate of 30 cents per mile that drivers receive in Detroit, paying back the $1,000 would require logging 3,333 miles, approximately the distance from New York to California, the blogger lamented. However, Uber pays a lower rate in Detroit than in most cities, according to statements from other drivers. And although Advance Pay carries no interest, Clearbanc charges drivers a fee of up to $50 if they fail to pay off the advance in 15 weeks, according to published reports. Complaints also arise with XChange Leasing, according to a website called therideshareguy.com. Dealers sometimes refuse to provide used cars for the program because they can make more money with new cars, according to the site. If the dealers are willing to provide used cars, problems sometimes surface because XChange Leasing prohibits leasing a used vehicle for more than 105% of its book value, the site said. Cars with a reputation for reliability, such as Toyotas and Hondas, often sell for more than book value, according to the site. Drivers have reported elsewhere that they feel trapped by the leases, many of them continuing to work for Uber just to make the payments. However, the Uber spokesperson maintained that drivers can leave the program anytime after the first 30 days. 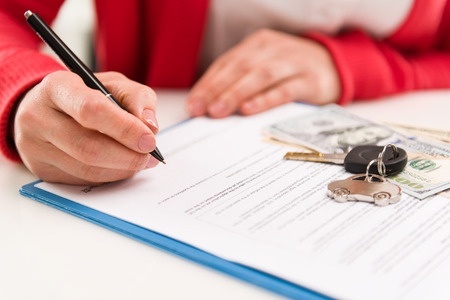 Some critics bemoan the spread of subprime auto leases, which they have compared to the subprime mortgage debacle that contributed to the Great Recession that struck in 2008. Uber prefers comparisons to Amazon, a company that has expanded by continuing to enter new businesses. In general, Uber has met resistance repeatedly from traditional taxi drivers who find their livelihood threatened by the ride-sharing service. Taxi drivers around the world have chided Uber for failing to pay taxes, obtain taxi licenses and uphold safety standards. 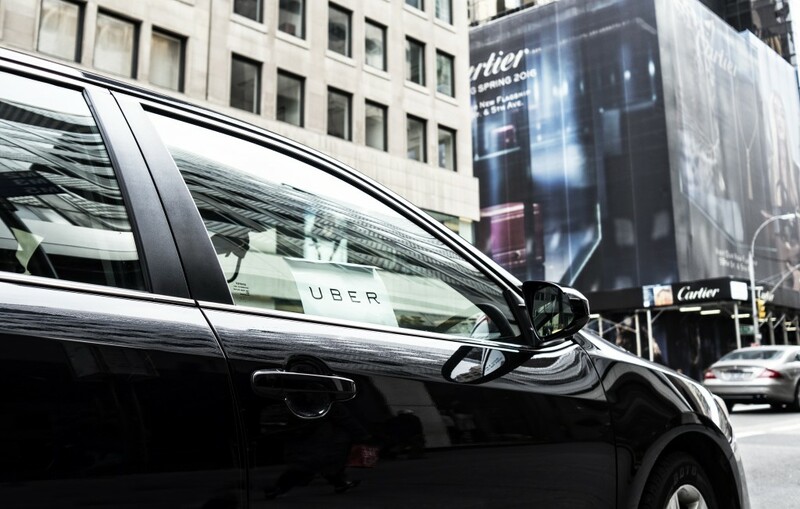 Complaints aside, Uber continues to grow prodigiously and now serves riders in more than 400 cities in 70 countries, according to metrics supplied by the Uber spokesperson. Seventy-five percent of Americans live in counties where Uber operates, the spokesperson added. Globally, Uber employs 7,000 workers and 1 million drivers, the company said. Home › Auto Loans, merchant cash advance › Is The “Uber” Of Merchant Cash Advance Actually Uber?